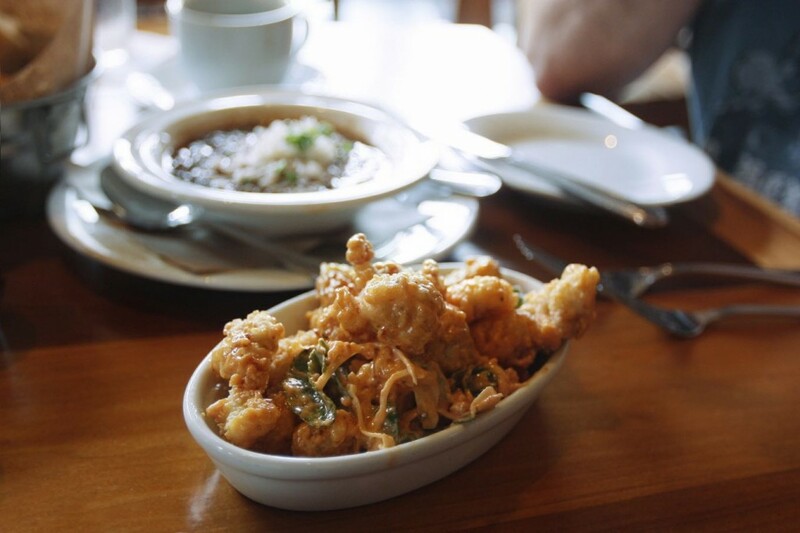 Big events are coming to the Big Easy this year, and we’ve partnered with Zagat to make sure that you have the most flavorful festival season of your life. New Orleans has long been a foodie destination, and festivals like the New Orleans Jazz & Heritage Festival, ESSENCE Festival, and Voodoo Music + Art Experience feature amazing local and global flavors on site. If you’re looking for a gourmet bite or local restaurant experience before or after you sink your teeth into some world-class music and flavors at the festival, check out these hand-picked New Orleans restaurants while you’re out on the town. New Orleans is the home to quite a few major music festivals. First up is the New Orleans Jazz & Heritage Festival at the New Orleans Fair Grounds, which is located in the heart of NOLA. While you’re in the city from April 22 – May 1, you’ll have plenty of time to dig hot jazz musicians doing their thang, and a wealth of delicious dining opportunities inside the festival. The fun continues when the ESSENCE Festival brings its soulful lineup to fans at Mercedes-Benz Superdome on the weekend of July 1-3. The larger-than-life stadium is the perfect setting for this massive annual celebration of black culture and music—sounds like a touchdown to us. Then the Voodoo Music + Art Experience takes over New Orleans City Park October 28-30. Once you’ve had your fill of fantastic music, you can work a little magic on your taste buds—Zagat has plenty of world-class recs for getting your grub on while you’re near this luscious, 1,300 acre park. Make sure you keep your eyes peeled for more Zagat recommendations when popular fests hit Las Vegas, Nashville, and the San Francisco Bay. With Ticketmaster and Zagat on your side, you’ll get your fill of great food and great live entertainment wherever you go.